Petula Clark and Tony Hatch had a golden touch between 1964 and 1968. The brassy singer and velvety producer/songwriter hit the Top 20 of the U.S. singles chart nine times, including two number ones in 1964's "Downtown" and 1965's "My Love." BMG Heritage's Platinum & Gold Collection collects all nine of the hits and adds two album tracks (her showy big-band ballad version of "I Want to Hold Your Hand" and a stately take on Joe South's "Games People Play") and -- in a misguided effort to be current -- a 2004 remix of "Downtown" by someone named the OUTpsiDER. The mix merely grafts the vocals, piano, strings, and horns of the original onto a generic funky breakbeat, sounding amateurish and half-baked. Still, it can't ruin the greatness that comes before it, and the disc is one of the better Clark collections on the market, especially if you just want the hits. 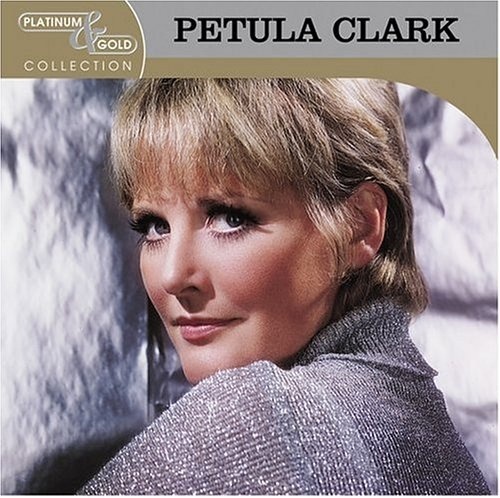 However, 2003's The Ultimate Petula Clark, which has ten more tracks, features her work after she split with Hatch, and only costs a few dollars more, would be a better choice than this for someone who wants to delve a little deeper into Clark's career.